Mansfield Town manager Paul Cox has raided his former club Eastwood Town to sign attacking midfielder Lee Stevenson and striker Lindon Meikle. 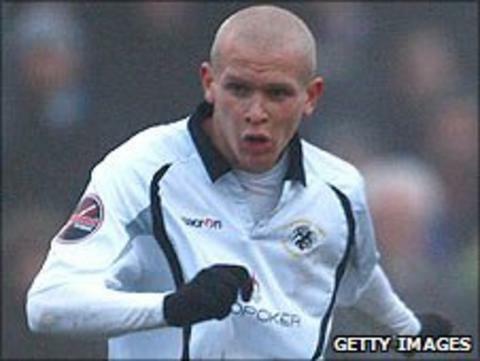 Stevenson, 26, scored 96 goals in three seasons with the Badgers and joins on a two-year deal for an undisclosed fee. Meikle, 23, has signed a one-year deal and also joins for an undisclosed fee. Cox told the club website: "Lindon is a player I have had under my wing since he was 16. He has bags of potential and was a crowd favourite at Eastwood." Stevenson said: "The season's just finished but I can't wait to get on the training pitch and show everyone what I can do. I went to look around other clubs but I got a good feeling about this place."